Silicon Valley may be the crucible of cool for creating apps, devices powered by artificial intelligence and other gizmos. But when it comes to making automobiles, especially electric vehicles, all roads still lead to Detroit. Even Tesla relied on Detroit's old-school suppliers to get rolling. Long before the Model 3 established Tesla as a mass producer of EVs, the company's first product, the Lotus-based Roadster, made from 2008-12, needed a last-minute save by BorgWarner. 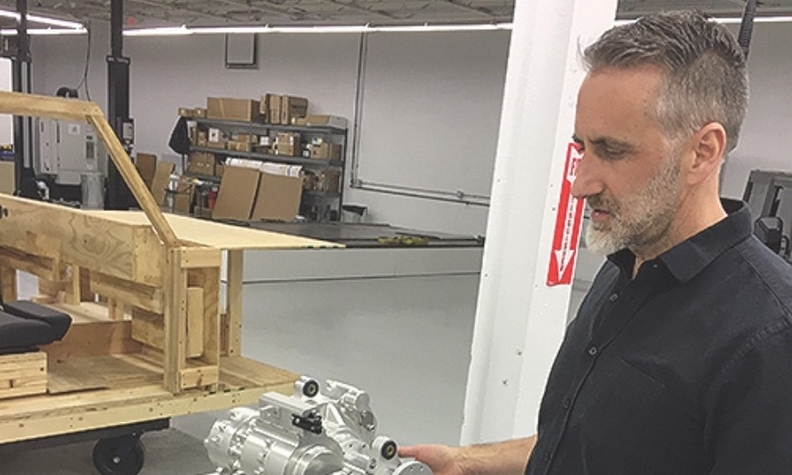 Its engineers in Auburn Hills designed a new single-speed transmission on the fly after the original two-speed gearbox failed and George Clooney, an early Tesla customer, famously demanded a fix after his Roadster constantly left him on the side of the road. That kind of publicity can be deadly for a new automaker. That's one reason why other companies that hope to follow Tesla, such as Detroit's Rivian Automotive and now Bollinger Motors, are leaning heavily on Detroit's homegrown design, engineering, testing and manufacturing talent pool to bring their products to market. "I looked at Tesla in California and BMW in South Carolina," Robert Bollinger, CEO of Bollinger Motors, formerly of Hobart, N.Y., told Automotive News. "I was like, maybe you can do this anywhere. But you still need to come to Detroit to find all the talent to get you off the ground." Bollinger Motors, which has garnered publicity for its boxy electric sport utility concept, plans to start production in about 18 months near Detroit. One of the strongest attractions for startups is Detroit's massive supply base. Companies such as Delphi Technologies are looking for economies of scale for the components they've developed for EVs intended for mass production. And Detroit's suppliers, wary of missing out on the next Tesla, have been willing to absorb some design costs as they work with new automakers to sell versions of their existing components, such as power inverters and battery cells. "There are tremendous engineering resources available in Michigan that are almost uniquely concentrated here," said Navigant Research analyst Sam Abuelsamid. "Leveraging this capability can help startup companies avoid repeating the mistakes of the past. "Can it be done without Detroit? Sure," he said, "but it is a lot harder."